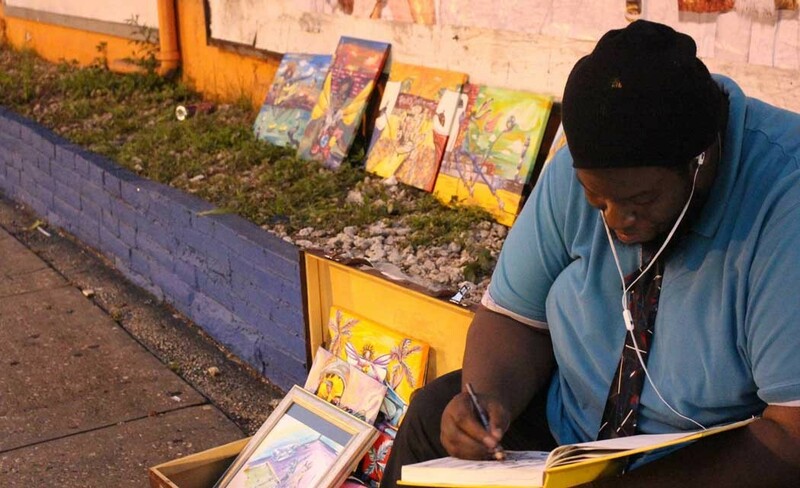 A group of Palm Beach urban artists is coming together for a good cause. The ‘4 Thee People’ exhibit mixes the fiery sounds and visual passions of artists Guiteau Art, Visualist and Jason ‘JaFleu’ Fleurant for an event that will include entertainment, food, drinks music and live discussions. All creative-types are invited to participate. “We are calling on all artists to show us what you got,” JaFleu playfully challenged. An internationally known, self-taught artist based in the West Palm Beach area, Jason says he has two birthdays; his actually birth (Sept 10) and the day the artist JaFleu was born; January 12, 2010. “Literally the day of the earthquake in Haiti is when I started making art. I was at work and it just triggered something in me, I was seeing the images on TV and it did something in me and so I just kept drawing and drawing and posting it and everybody was like ‘you should try to paint it.’ So I started painting,” he said. The rest, as they say, is history.